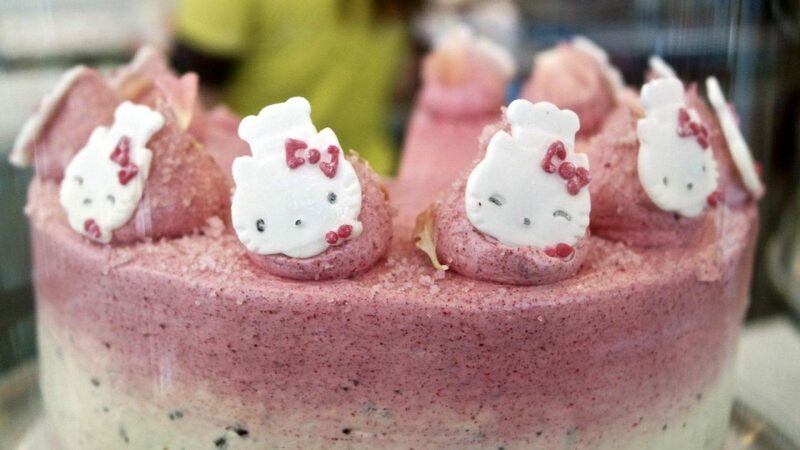 Where can I get the Most Instagrammable Desserts in London? Desserts are all the rage at the moment and London has such a great offering of ones that will be sure to gain you some extra likes on your Instagram. From cakes, to ice creams, and even a cheeky cocktail or two, you’re going to be wanting to add these places to your London Bucket List for sure! And no, I’m not going to be mentioning that famous pink cafe that all bloggers snap away outside of, I’m trying to bring something a little different! Hailing from New York, the Dominique Ansel Bakery are the well known inventors of the ‘cronut’, a croissant-doughnut hybrid, and they have lovingly made London their second home. 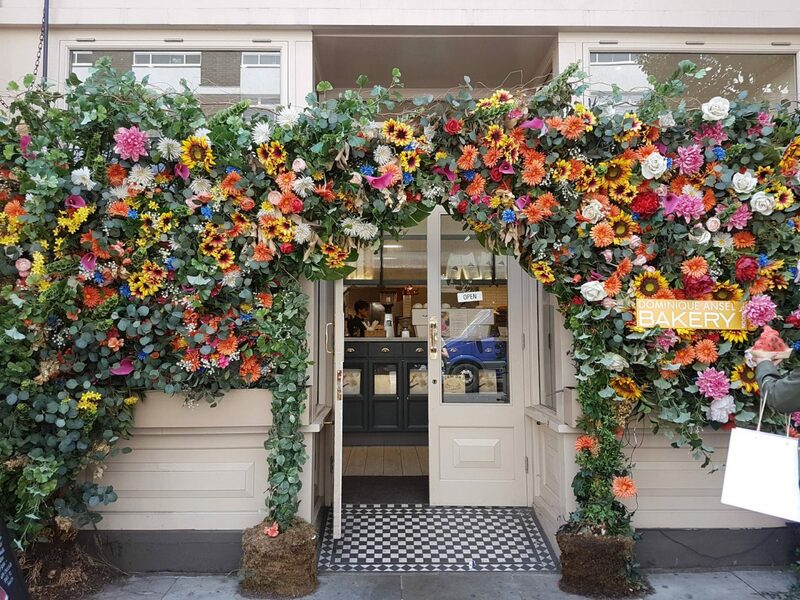 Perusing over the incredible menu of dreams, not only can you order the cronut of the month, you can even treat yourself to an afternoon tea out in their garden. 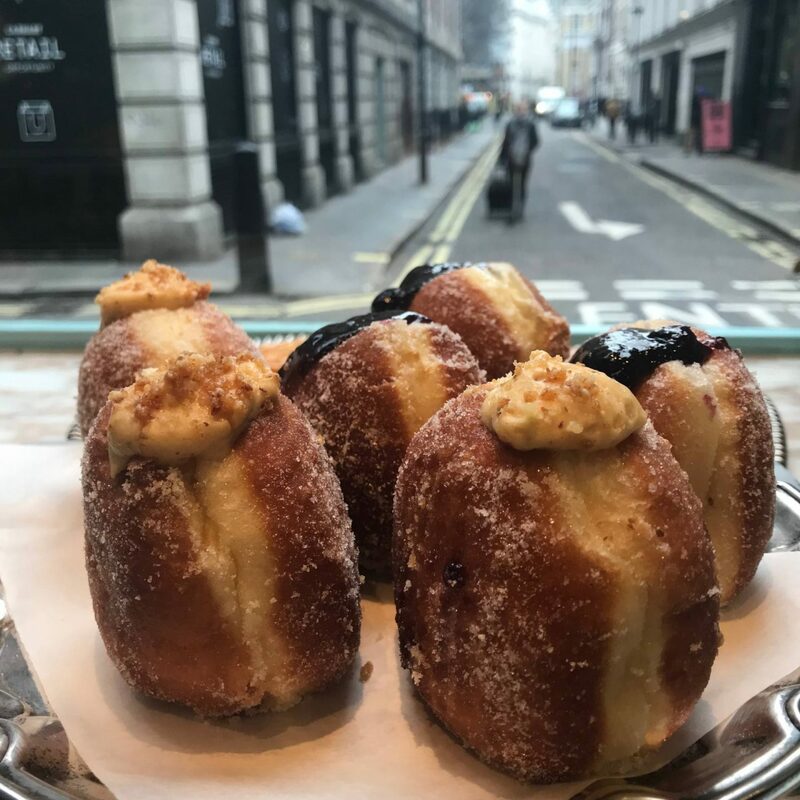 These Insta-famous cronuts are ones not to be missed and are well worth heading over to Belgravia for. 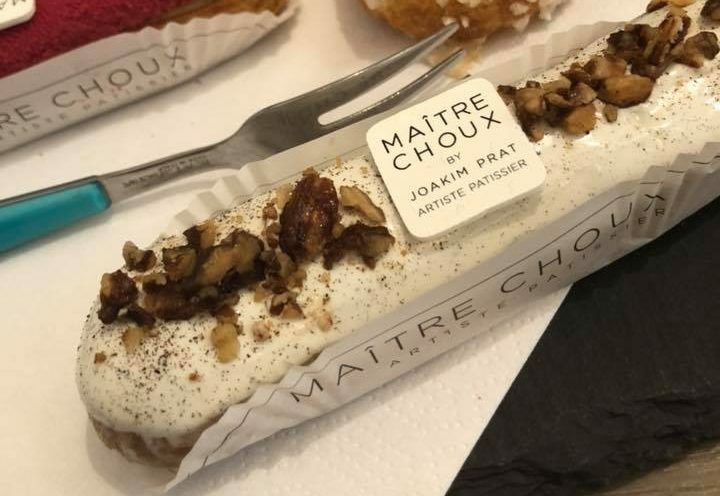 I bet that you didn’t know that London is home to ‘the world’s first and only pastry specialist patisserie in the world’, Maitre Choux, yep, it’s true! And to top it off those stunning eclairs that adorn the windows are created by a three-star Michelin pastry chef. How tempting does that sound? If you’re into your sugar, but love to keep it class then this is 100% the place for you. The range of flavours available are updated constantly, which is the perfect excuse to frequently return to try something else on the delight-filled menu! If you’re looking for something that’s not onle tasty but also guaranteed to win you points between friends for takning them, Nosteagia in Shoreditch is where you need to be. Inspired by the ever awesome Hong Kong street snack ‘egg puffs’, Nosteagia specialises in taking the waffle game up a huge notch or two with their bubble waffles. 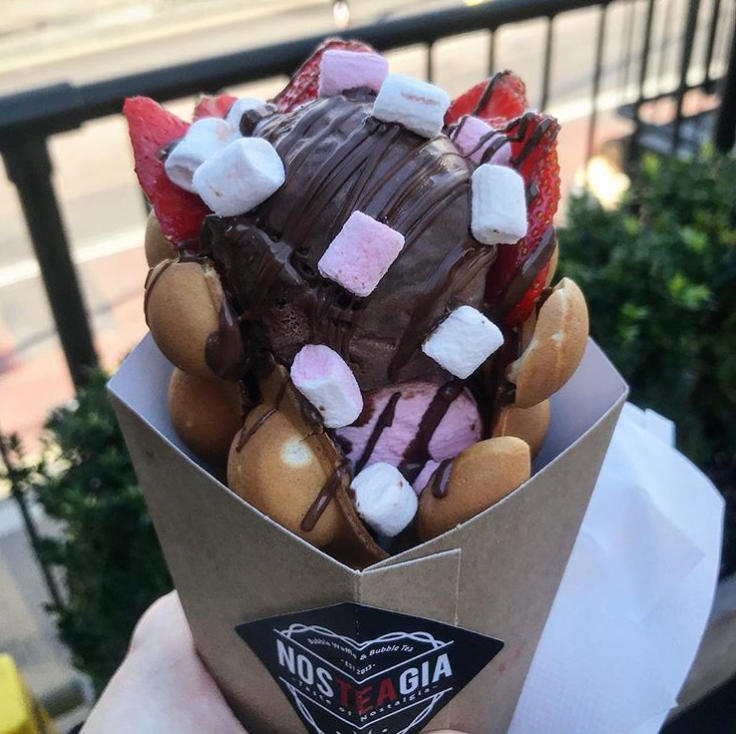 If you’ve not heard of the bubble waffle before it’s a crazy type of waffle that’s folded into a cone and stuffed with all manner of toppings. Don’t forget to try their bubble tea whilst you’re there too. 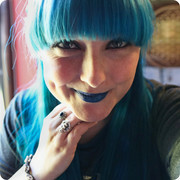 If you’re looking for one hell of a bespoke designer then Anges de Sucre is the place to seek out. They are the official cake and confectioner of Selfridges Oxford Street, so you know they’re going to be hella good. If you don’t want a whole cake, which with how incredible they are, you probably will, they are known for plenty of other sweet treats, including s’mores, tea cakes, marshmallows, cookies, macrons and the deliciously deceptive ‘unScotch eggs’. There ain’t many things in life better than desserts and cocktails combined? I know not, and the team at Basement State certainly don’t think so, either meaning they have found the ultimate way to combine the two. Yes, you read that right, it’s quite possible London’s best-kept sugar filled secret is a dessert bar in Soho! Their dessert options are a foodie’s cocktail fueled dream so you need to be leaving the kids at home; this sweet spot is just for the adults. 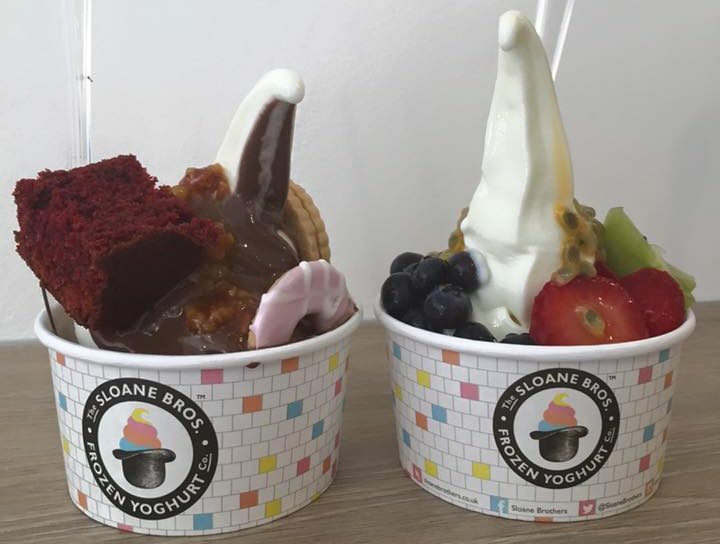 THE SLOANE BROTHERS FROZEN YOGHURT CO. The Sloane Bros. Frozen Yoghurt Co. is situated in Brick Lane and they stole my heart way back in 2015. It’s in the ideal location for you to stop off in between browsing the nearby market stalls and snacking on the famous local delicacy of bagels to get a delicious frozen yoghurt sourced from the very best British suppliers and dairies. The toppings range from super-healthy to full-blown sugary dreams and are all worth giving a go! 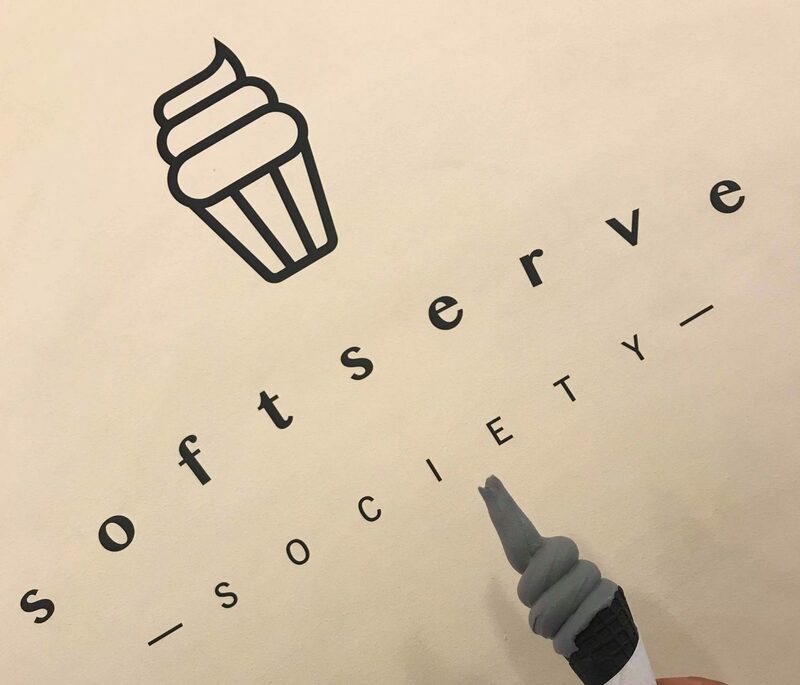 If you’re a lover of all things dark alike I am, then Soft Serve Society’s black ice cream is 100% for you! If you’re not into black ice cream, then don’t panic as there’s plenty of candy floss and Instagram-worthy desserts to be had here. They also offer world famous ‘freakshakes’ that really do put all others you’ve seen previously to shame so if you’re looking for one hell of a sugar rush, you need to be heading here! Are you even a true Instagram lover if you’re in London and you don’t go to Borough Market topick up an indulgent doughnut from the Bread Ahead stall on a Saturday morning? The salted caramel doughnut topped with a chunk of honeycomb is the kind of things dreams are made of so make sure you leave space for one if you’re eating your way around the market! When a pair of food loving sisters come together to make ‘biskies’, you get Cutter & Squidge in Soho. A biskie is a crazy ‘creation of biscuit/cookie/cake filled with lightened buttercream, handmade jams, caramels and other delights’, which they promise to be a ‘moorish blend of crisp, soft, chewy, cakey and creamy’. Sounds like something you need to be eating right now, doesn’t it?! Thanks to Is This Seat Taken, Franny Mac, Sweet Drink and Be Merry, Iza Kawecka, Mostly Food and Travel for the use of their photos. "Rooftop Food and Drinks at Skylight at Tobacco Dock, London *"
"My 2019 Travel Bucket List *"
I’ve visited Dominique Ansel, the cronuts are amazing! I’ve also visited Maitre Choux but I didn’t rate it here as much. I’ll have to check out some of the other places you have listed next time I am in London!